Oh God, why must be one parted from one whom one so loves. Jane Espenson - "Yeah i ship them." Adam Horowitz - "It was a beautiful thing to see the depths of love that one can have for another and that could mean is no matter what you face, no matter what you go through,you will never give up on the other person." “She fell pretty hard and pretty quickly for him. "In terms of my career, that’s among the best 42 minutes of TV I’ve ever been involved in." 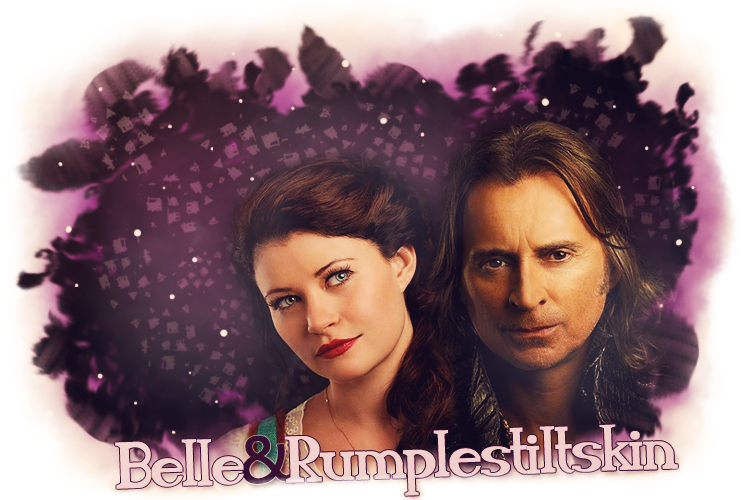 "Belle’s always been an independent woman, but she’s just always hanging out with Rumple. I don’t think that’s ever trampled on her independence. I think it’s almost lifted it in a sense." "But then we realized during the writing of it, as I was going through drafts and talking to the guys about it, that that's what Rumple wants to think he's doing...? But really, it's about that he doesn't think he's lovable. Or worthy of love. It just kept getting deeper and deeper as we worked with it." "From the net and through twitter, I get such beautiful comments from people, hinting that they love this episode so much because it's proof that they could be loved." "At the end of it all, he's got a really good heart, and he cares for her more than anything, and that's pretty obvious"
"I think that Happy Endings are, are earned. I don’t think they’re necessarily just given to you, you know just lying around." 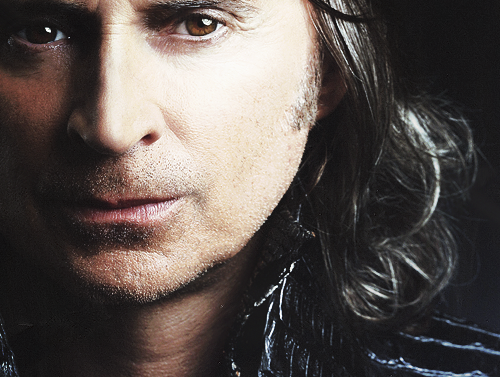 "These two characters coming together, it’s the beast, but it’s Rumplestiltskin. I think it’s a fantastic dynamic, it’s such a fun relationship to play." "I think true love is massive, y’know? And that’s a big part of it." " Most of these fairytales and the characters phonetically all have a good message in there somewhere, like you look at Beauty and the Beast, it’s what’s in the inside that counts." "I really enjoyed preforming it and working with Emilie, but what no one could plan for was the reaction that that had, people were saying that this episode gives them hope that everyone has a chance to find love." "He’s the only one love she ever has had"
"Belle is Rumplestiltskin’s emotional centre, that’s what keeps him in the side of good. The closer he is to Belle, the better he is. The farther he gets away, the more dangerous he is for everyone"
"What? First you tell me I let the pirate live, and now you tell me I fall for the help?" "What are you saying?" "Will you marry me?" Yes, yes yes"
"Your unwavering faith constantly astounds me." "My walls were up. But you brought them down. You brought me home." "You brought light into my life and chased away all the darkness." "I owe more to you than I can ever say. How you can see the man behind the monster I will never know." " But now I realize… I realize that I have not spent my life losing you. I’ve spent my life finding you." "I will never comprehend why you continue to stand by my side." "I love him. All of him. Even the parts that belong to the darkness." "What you're giving me is more than I can ever give you." "Why would you do that? I mean, with that object-" - "They still won't be able to harm you."? Maybe we've lived a thousand lives before this one and in each of them we've found each other. "This rose is now linked to your Beast, Belle. As long as it still has petals, he lives." "I would change everything for you." "When I was in the coma, all I wanted to do was let go. And then I heard something. Your voice." "Oh Belle, if it wasn't for you, I wouldn't even be alive. Thank you!" "I have always seen the man behind the beast, all right? Now I see something else, too. A hero." "I just want you to live out your dream." "So.......this is an image of your child. Your next child." "Belle doesn't know it yet, but.. She's pregnant." "All these years I've known there was a good man behind the beast. Now you know it too." "All I want is a life with you, Rumple"
"Your wish is my command, Mrs. Gold"
"I'm a mess!" - "You look beautiful." "I could remember how you look right now forever." "You will find your way back to me again. I promise." Thanks for the those images Betsy! Truly awesome. You find goodness in others and when it's not there, you create it. You make me want to go back, back to the best version of me...and that never happened before. You are a beautiful woman who loved an ugly man - really, really loved me. You find goodness in others, and when it’s not there, you create it. You make me want to go back, back to the best version of me, and that never happened before. So when you look in the mirror, and you don’t know who you are, that’s who you are. Great quote and gif set!